When I was upgraded to the Cochlear Nucleus 6 processor, I was excited about the possibilities with the wireless accessories that were developed in partnership with GN ReSound, the Danish hearing instrument manufacturer. My excitement had to wait, however, as the software update was not released, at least here in Canada, until February 1st. Well, I’ve now been using the ReSound Unite wireless accessories for a while now, in fact, I’m the first person in British Columbia, Canada to be fitted with the bi-modal wireless accessories! And, why not do a review on this, so here it is! A bit of background before we get into the review. My hearing loss happened, as near as the learned ENTs could tell, as a result of a bout of the measles at age 2. Either that, or perhaps it was the drugs given to combat the disease. That left me with a classic “ski-jump” hearing loss audiogram in both ears, with a loss in the lowest frequencies of around 20dB, and a loss of about 40 – 60 in the mid and high frequencies. 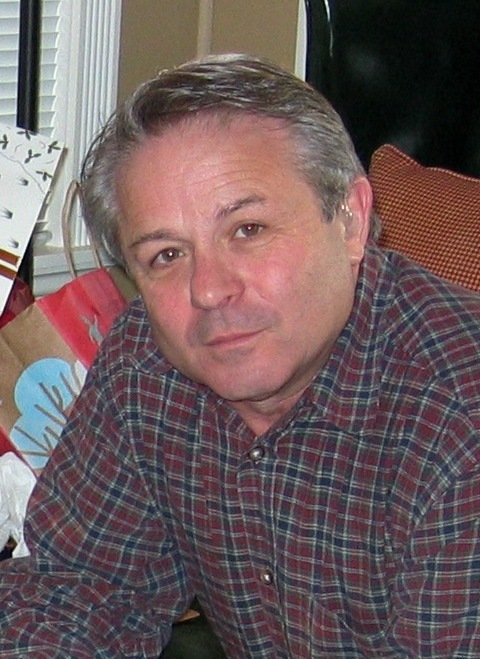 I wore a hearing aid on one ear, the right ear, until I was about 45 years of age, but the progression of my hearing loss led to wearing two aids and then to using the Phonak FM system to help. Three years ago, my hearing loss was classified as profound, with a loss of around 100 dB or more across the frequency band, I qualified to receive a CI, and while I’m absolutely delighted with the results, I do miss being able to listen to music on the plane, or when out walking, and I could no longer listen to the TV with the speakers totally off. However, I reasoned that the vastly improved hearing was worth the loss of the wireless pleasures, but then became optimistic about the new wireless system announced by Cochlear. On March 11, my audiologist called me in for an appointment, and installed the software upgrades to my processor, and my remote control, which Cochlear call the “Remote Assistant”. Just an aside: I can now control the bass and treble response of the processor independently, which can be handy in some circumstances. Take a look at the picture, which shows the bass adjustment graphic. Knowing that the wireless upgrade was to be released by Cochlear in February, I visited my hearing aid audiologist in January, and purchased a GN ReSound “Enzo” hearing aid. This is a “super power” aid, BTE style. I chose the ENZO model 7, which does everything except communicate with another hearing aid, which was obviously not suited to my situation. With it came two components of the Unite system, the MiniMicrophone, and the Phone Clip +, two of the most useful elements of the system. While waiting for the upgrade to the processor, I began to use the MiniMicrophone with the Enzo hearing aid, and also tried the Phone Clip +, and found that they worked well, but that without that nice crisp treble response of my CI, the sound was just so-so. I have ordered the other two components of the system, and expect to have the Unite TV streamer, and the Remote Control. I’ll mention these items later, but let’s dive in to the system, and see how it works, and what it does. The system uses USB power supplies to recharge the built-in lithium-ion batteries. Initially, ReSound suggest charging the units for a minimum of three hours, which I did. While charging, the LED on these units remains a steady red; once fully charged, the LED changes to green, with a brief red flash about every two seconds. Turn on the CI processor. Here is a video of the pairing procedure, but only for a single device. If you plan to use the Phone Clip + with a bluetooth-enabled cell phone, landline phone, or portable music player, another pairing is required. To do this, find the Bluetooth connectivity settings on your phone or music player; turn on the Phone Clip + and press the small blue button under the silver Cap. The Phone Clip + will remain in pairing mode for 2 minutes. In the phone’s menu, choose search for bluetooth devices. When you see the list of devices in the phone menu, select ’hearing aid phone” or similar. Now enter the password 0000 (four zeros). Depending on your phone or music player, you may have to tell it to “connect” to the phone clip. To use the MiniMicrophone as a remote microphone, I turn it on with the slide switch. Then, I press the program button on my hearing aid until I hear a melody chime, about three seconds. I then press the telecom switch button on my processor until it chimes, again, about three seconds. We’re now ready to go! I have found that this tiny device, clipped to the collar of my wife’s blouse, produces very high quality sound, with a line-of-sight range of about 20 feet. I’ve been pleasantly surprised at the fact that this device seems to suppress the ambient sound, and transmits only the speech sounds I want to hear. This is in contrast to my older Phonak Smartlink, which while it was effective, had a tendency to make the background noise more annoying. To stop streaming at any time, give the buttons on your hearing aid or processor a momentary press. 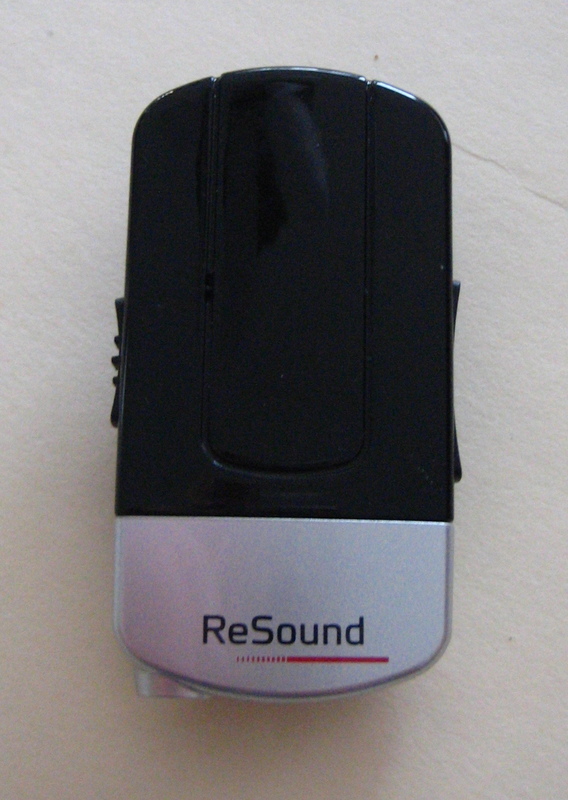 To use the MiniMicrophone as a streamer, say for music, or the computer audio, or perhaps for aircraft movie or audio sound, you simply plug a 3.5mm audio cord into the socket on the bottom of the unit, and plug the other end of the cord into the earphone jack on the music player, computer or aircraft. Again, the sound quality is quite good, with a wide frequency range, but be aware that it is a monophonic, but binaural instrument, you get sound in both ears, but it is monophonic sound, not stereo sound. I discovered, by testing, that the unit combines the left and right channels to give you sound in both ears. Again, the range is about 20 feet, line of sight. Until my TV streamer arrives, I’ve been using the MiniMicrophone to stream the TV audio to my hearing aid and my processor. Works “like a charm”. I’ve got my TV plugged into an amplifier, and I’ve plugged the MiniMicrophone into the “Tape Out” jacks, but you could plug it into the “audio out” on the TV, or the headphone jack if you wanted. 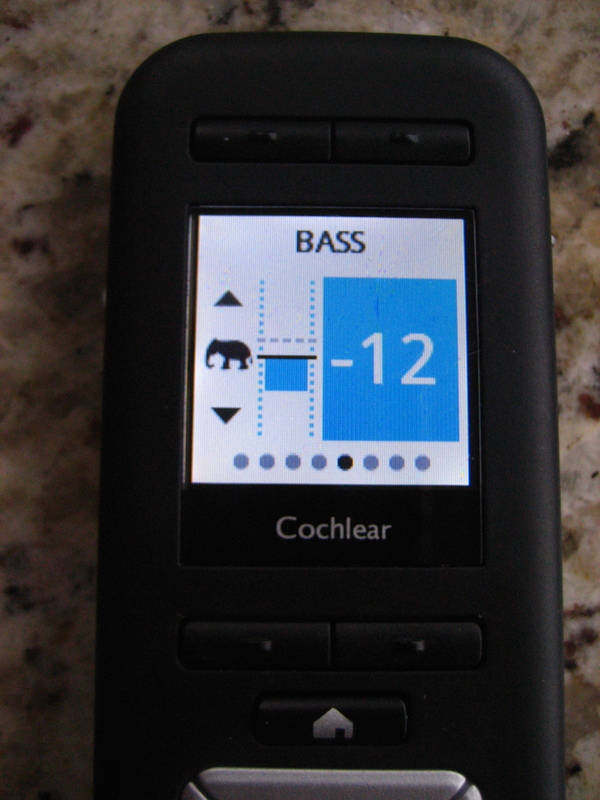 In all use modes, there are volume control buttons on the side of the MiniMicrophone to raise or lower the volume in the hearing aid or the processor. Using the Phone Clip + first as an audio streamer, I simply turn the unit on with the slide switch, Then, I play music on my iPhone, and select “hearing aid headset” in the iPhone slide-up menu. In less time than you can say jack rabbit, the stereo music is streamed into both ears. The stereo music is being streamed wirelessly, by bluetooth from the phone or music player to the streamer, and then wirelessly to your hearing aid and your processor. 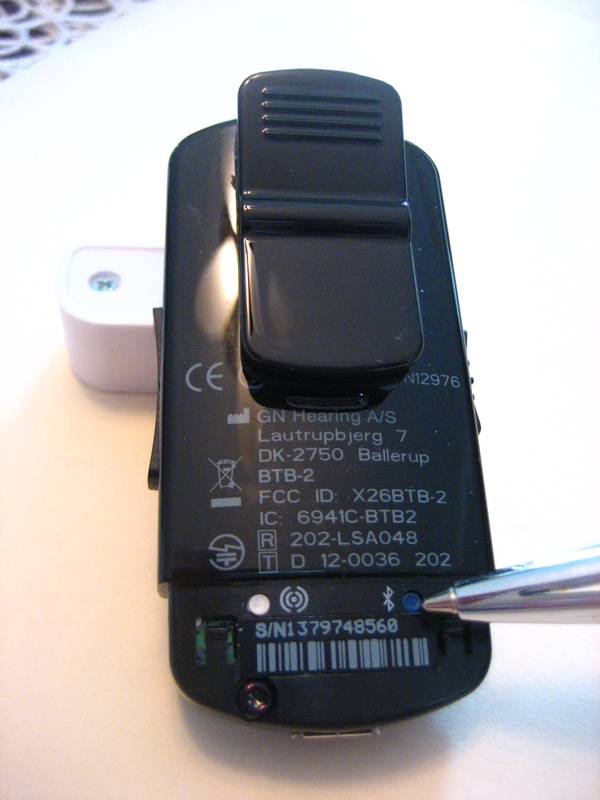 One thing that I wanted, but that was not present on the Phone Clip + was a 3.5 mm stereo input jack. That means that if you want to listen to an airplane movie, you really need to bring along your MiniMicrophone. If the phone rings, the music is muted, and I hear the ring in my ears. I press the phone button on the front of the Phone Clip +, and carry on my conversation. When the call is over, I press the phone button again, and the music returns. Finally, the Phone Clip + also functions as a basic remote for the hearing aid, allowing me to change programs, adjust the volume, and mute the instrument. Here’s another video to show how to use this device. With both units, you can adjust the microphone-to-streamer mixing ratio using the remote controls. What this means is that you can choose to hear only the streamer, only the processor and hearing aid microphones, or you can adjust to hear a mix, on a variable scale. This is handy if you want to listen to music, but still be able to hear what’s going on around you. Or not! The Unite TV will function similarly to the well-known Phonak TV Link. 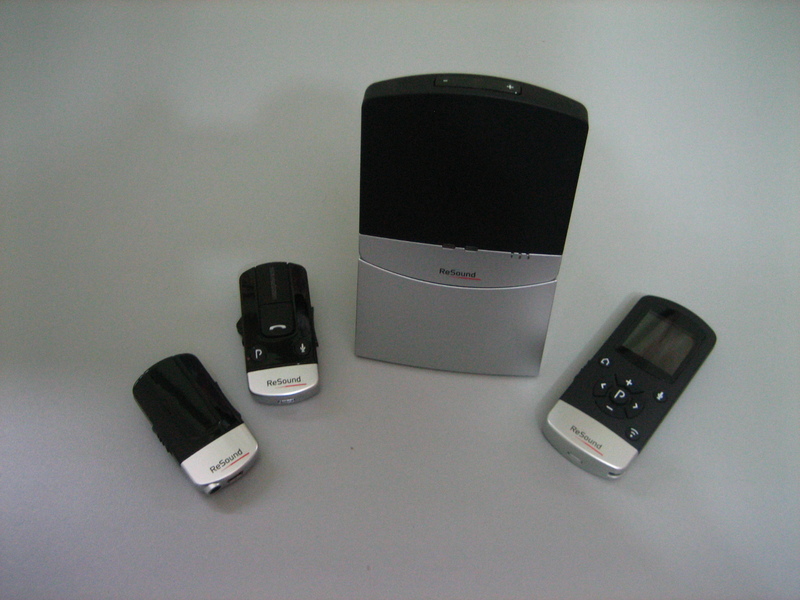 It has a greater range than the MiniMicrophone, and can stream audio, including TV or music system sound, in stereo. Setting it up is similar to the process for the other accessories. Turn it on, and press the pairing button. Then turn on the hearing aid and the processor. Successful pairing is indicated by a melody chime in the instruments. The Unite TV uses a USB power supply, and can accept analogue or digital sound inputs. For analogue, either a 3.5mm stereo plug, or RCA connectors, with an adaptor, are supported, and for digital, either coaxial or optical connections are supported. And, as with the other accessories, you can vary the mix ratio between the streamer sound and the hearing aid or processor microphones. This way, you can still converse with others in the room, even while you hear the TV or music through the streamer. To start streaming, push the program button on the hearing aid for about three seconds, and the telecoil button on the processor for the same three seconds. To stop streaming, give the same buttons a momentary press. The TV streamer, and indeed all the Unite accessories, use 2.4 GHz technology, which results in a very short latency time, which is important when you also want to read lips. The claimed range of the TV streamer is 7 meters, or 23 feet (whichever comes first!) and since my unit has yet to arrive, I can’t confirm this, but I can say that my audiologist, who’s technically excellent, says the actual range is much further. We’ll see. Finally, we come to the remote. Again, I can only go by what I’ve been told by the audiologist, and what I’ve read. Starting with pairing, the procedure is identical to the process described for the other accessories. Turn the remote on with the slide switch on the side, press the pairing button, turn on the hearing aid. When you hear the melody chime, it’s done. The remote will now allow you to change volume, program, activate streaming, mute the microphones on the hearing aid, change the mix ratio of streamer and hearing aid microphone, and keep an eye on the system using the LCD screen. The first comments I want to make concern the ergonomics of the Unite system, how easy is it to use? Starting with the on/off switches, I like the fact that they are not buttons that can be pressed accidentally, thus leaving you with a dead battery when you need the units. Rather, they are slide switches that require a deliberate push. Moving to the next step, I found the pairing process to be well thought-out, and consistent across the Unite range. Pairing is essentially the same simple procedure on each unit. Moving next to the bluetooth part of the equation, I found the bluetooth pairing with my iPhone to be simple, painless, and quick. Now, let’s talk about the sound quality. As a former television industry studio technician, and as a vintage audio enthusiast, I tend to be fussy about sound. And, bear in mind that I have a CI on one ear (let’s call that my high-frequency special), and a new hearing aid on the other, (the bass special). 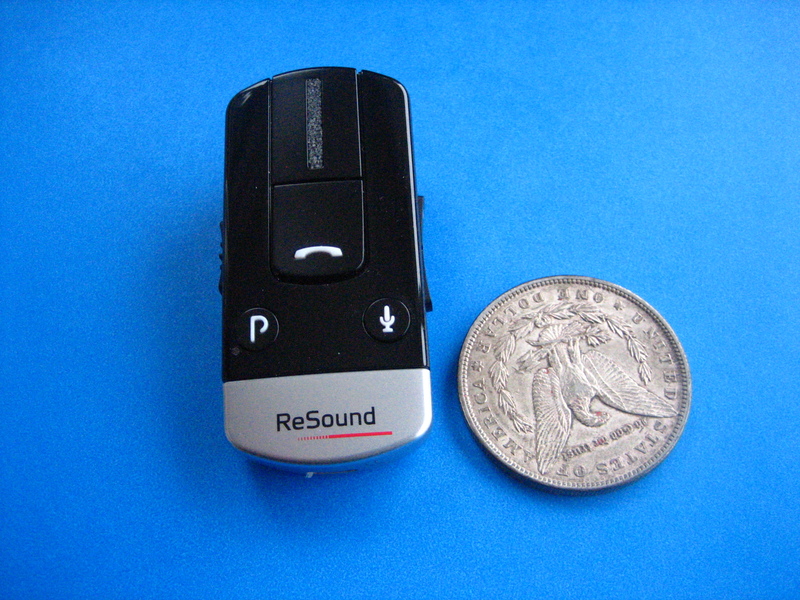 First, the MiniMicrophone, when used as a remote microphone, say in a restaurant or in an automobile, makes it much, much easier to hear speech. It seems to do a better job of suppressing background noise than the other two systems I’ve used, the Phonak Smartlink (FM), and the Phonak Remote Microphone (Bluetooth). I can only guess that this has something to do with the march of progress, and the fact that it uses 2.4 GHz radio technology, similar in concept to the Phonak Roger system. As a wired audio streamer, it does a good job, but it is a monophonic, rather than a stereo device. Despite this, the combination of the MiniMicrophone and the two hearing instruments produces a rich audio experience that for me at least, sounds great. It’s kind of neat to have my iPhone plugged into this little device, and be listening to music, without anyone else knowing! The Phone Clip + paired easily, connects every time, and makes a phone call a pleasure. Those with whom I’ve talked on the phone report that the outgoing voice quality is good, something that was an issue when I used the ComPilot or the iCom. It connects quickly and reliably when I stream music from my iPhone, and automatically interrupts the music when there’s an incoming call. The music is in stereo, and sounds excellent, the range between the phone and the Phone Clip + is about 6 or 8 feet, and between the Phone Clip + and my hearing instruments, about 2 feet. I just clip it on my shirt, or collar, and I’m good to go. Battery life? So far, this has not been a problem. I do not notice any change in the battery life of my hearing aid, or of my processor. As for the streamers themselves, I’ve never had them run down completely, except for those occasions when I’ve left them turned on by mistake. And there’s a possible point for improvement: perhaps they could be engineered to do an auto power off after say 20 minutes of no activity, but considering the intended use of these products, that may not be possible. One thing I did not mention is that there’s an app for iPhone and Android, which allows you to use your phone as a remote control, and as a portable user guide. I’ve downloaded the remote, but am afraid to pair my iPhone with the hearing aid, because as near as I can tell, if I do this, incoming phone calls will automatically go to my hearing aid, even if I do not have the streamer. I don’t want this to happen, because I hear so much better with my CI, and if I do not have the Phone Clip + with me, I’ll not be able to use the phone as I like. Finally, there’s always the problem of just how much stuff you want to carry around with you. Since I got my CI, I usually don’t carry anything around. I leave my CI remote at home almost always, and I do not have anything hanging around my neck. Now, I’m getting to the stage where I carry around the Phone Clip +, clipped to my shirt pocket, but that’s all. The TV streamer is not an issue, as it’s wired to the sound system, and I don’t really need the MiniMicrophone, except for use on an aircraft to hear the entertainment system. When would I use these new devices? I’d use the MiniMicrophone to hear a companion in a noisy restaurant, or to stream the sound from an airplane movie directly to my CI and my hearing aid; I’d use the PhoneClip + to talk on my cell phone, or to listen to music in stereo from my iPhone or iPod; I’d use the TV streamer to listen to the TV without bothering others in our house; and I’d use the remote to block out background sound when using the streamers in noisy surroundings. The table below outlines the functions of each device in the system. In conclusion, the ReSound Unite system is an excellent assistive system for those who need more help with their hearing in certain situations. And for those who cannot wear headphones, or do not want to wear headphones, the system is great for listening to music. The remote allows you to adjust some things you cannot do any other way, such as the mixing ratio, something I find invaluable. This is all great by itself, but the excellent sound quality is the icing on the cake. I’d have no hesitation recommending this for those who are bilateral with Cochlear Nucleus 6 processors, or who use a Cochlear Nucleus 6, and a compatible GN ReSound hearing aid in the other ear. 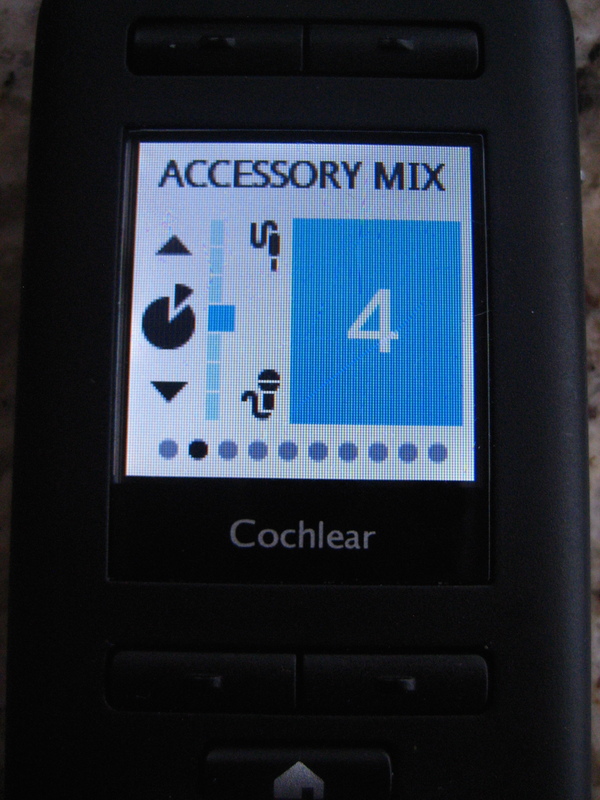 So, if you’ve been wondering about Bi-Modal wireless accessories for the Cochlear Nucleus 6, it’s here now, and it works very well!